The largest gathering on record of the legendary Alfa Romeo 8C sports car will be a special feature of the 2013 Pebble Beach Concours d’Elegance here. Only about 110 remain of the original 230 8Cs built between 1931 and 1939; organizers here expect nearly 30 of the survivors to be on display at the Sunday, Aug. 18 gathering on the concours field. Cars from all over North America, Europe and a number of other foreign countries are expected to participate. After the concours, the 8Cs will head to Coeur d’Alene, Idaho, to begin a special 1,000-mile Tour of the Rockies organized by Alfa enthusiast and 8C owner Tom Price of Belvedere, Calif. The tour will take them up to British Columbia and Alberta, Canada, through Glacier National Park and along Going-to-the-Sun Road before concluding in Whitefish Lake, Montana. The 8C faithful have done such tours before, every three years or so, but Mr. Price notes, with sadness, that this will likely be the last one. It is rather mind-boggling, given the seven-figure values attached to an 8C these days, that owners are willing to put them through such a grueling event. But the car has proven more than equal to the task. 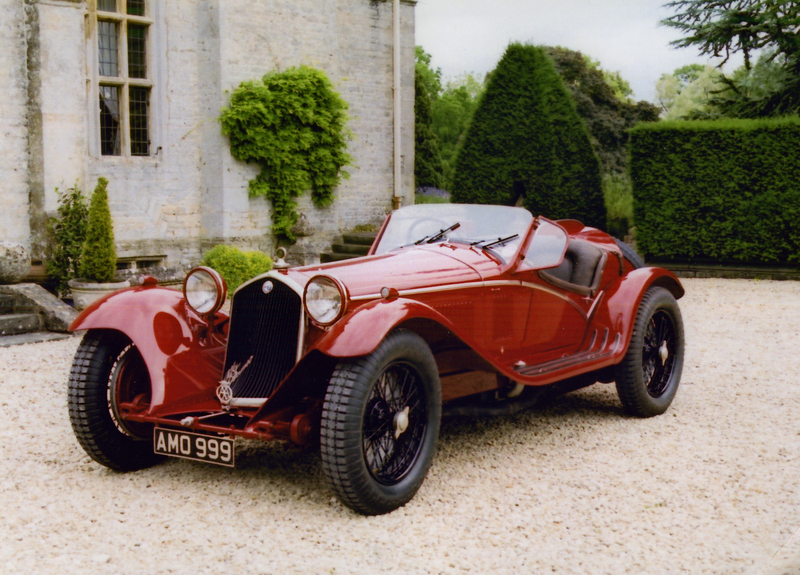 An 8C, entered in almost any kind of tribute rally such as the Mille Miglia, is still usually the car to beat. The 8C has a well-deserved reputation as the ultimate race car of its time. Vittorio Jano, Alfa’s chief engineer in the 1930s, designed its potent, supercharged, 8-cylinder engine, which came in 2300, 2600 and 2900 cc versions; a long straight exhaust pipe gave the engine a sound like that of a fighter plane (not surprisingly, it was also adapted to aviation use). The Alfa Romeo 8C had an auspicious racing debut. It won three straight grueling Targa Florio rallies in Sicily, 1931-1933. It won the 24 hours of Le Mans four years in a row, 1931-1934. 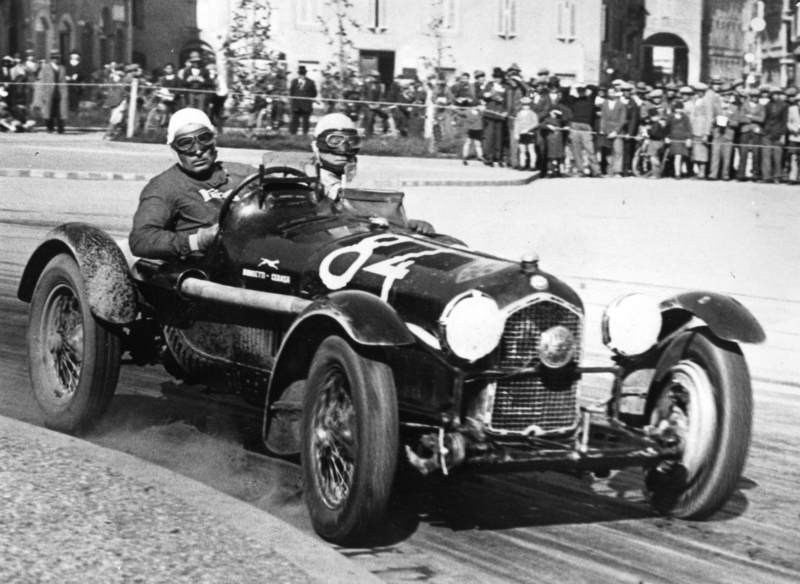 It not only won its first time out in the infamous 1,000-mile Italian street race, the Mille Miglia; it ultimately won it seven times in a row, 1932-1938 (plus 1947, after a break for World War II, for good measure)! It also won the Monaco Grand Prix, the Italian Grand Prix at Monza and the Spa 24 Hours. Despite its popularity, only 188 Alfa 8Cs were manufactured with the 2300 cc engine between 1931 and 1934 and another 42 cars with the more powerful 2900 cc engine between 1935 and 1939. It was something of a beast as a street machine, and only a driver with an exceptional level of skill could master the 8C’s potential. The Pebble Beach gathering could be the first and last time so many come together in one place. « De Portago Ferrari For Sale: No, Not THAT One! I do not know their schedule at all. But I will be talking to the organizers next week, and I will find out. Whatever I learn, I will post on this blog. Thanks! I saw all of the cars parked in the garage of the Coeur d’Alene resort this morning. An unbelievable collection of cars. Met a few of the owners. I attended the Concours Italiano in Carmel, CA about 15 years ago and saw a lot of Alfas and other Italian great cars, but not as large number of the 8Cs that are on this tour. I could never afford one but still enjoy immensely my 1981 GTV6 while living in Coeur d’Alene. What a thrill it was to see the group of 8C’s on Going To The Sun road Aug 28 2013. Glacier National Park is one of my favorite parks. Our motorcycle group was headed to the top as your group was coming down in moderate rain. On one of the switch backs was a parking lot, which afforded me one picture of the last of your great cars. If there is a next time, as I hope, a u turn is in order.